Tool tracking software, also referred to as tool management software, helps businesses keep an inventory of tools and track tools’ physical locations and usage. These solutions offer features to check tools in and out via barcodes or unique identifiers, associating each checked-out tool with an employee record to increase accountability. Some tool tracking products keep a historical record of tool usage, include features for scheduling maintenance based on tool use, and identify when a tool may need to be replaced. Tool tracking software is similar to CMMS software and enterprise asset management software, but is specifically built for the tracking of physical tools (as opposed to the tracking of various asset types offered by other types of software). Tool Tracking reviews by real, verified users. Find unbiased ratings on user satisfaction, features, and price based on the most reviews available anywhere. 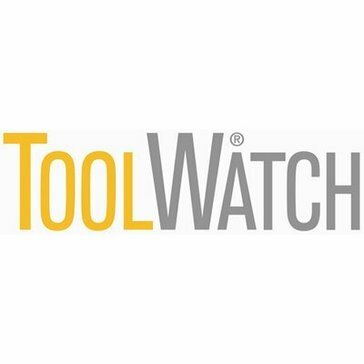 ToolWatch Enterprise is a cloud-based asset management software solution that has tracks tools, materials, and equipment providing visibility and control over your assets. In its most basic form, the ToolHound inventory management system operates similar to a library to facilitate the quick and accurate check out and return of tools, equipment and consumables from your tool room. ToolHound’s powerful equipment and tool management software delivers the performance and usability needed to help you gain complete control of your tool and equipment inventory. Large and small companies worldwide rely on ToolHound to increase staff accountability and productivity, reduce costs and improve efficiencies in a range of applications including construction, power generation, chemical processing, maintenance, mining and job site tool and equipment services. Using a comprehensive database, coupled with a simple and accurate bar code or RFID-based transaction system, ToolHound efficiently tracks the issue and return of tools to contractors and employees, and the transfer of equipment between various job sites and tool room locations. Hi there! Can I help you find the best Tool Tracking solutions?